With a growing number of mobile apps to track exercise, it’s becoming difficult for software titles to stand out from the crowd. The team behind Endomondo is making an attempt with updates to its Endomondo Sport app on both Google Android(s goog) and Microsoft Windows Phone(s msft). Both platforms have a free version of the app while Android phones can buy a low-cost Pro edition. 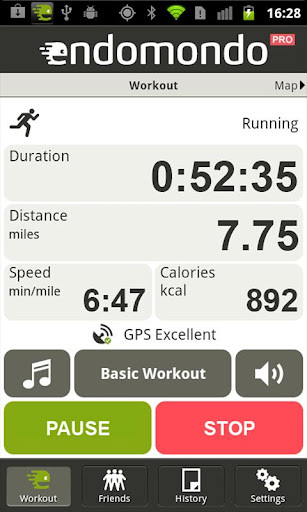 For Android users, the $3.99 Pro version gains a new interval workout feature. Audio cues will guide runners through their customized workout comprised of fast distances and slow recoveries. Current owners of the Pro version will gain this feature directly through an app update. Both the Pro and free versions of Endomondo for Android can now sync workout data across multiple platforms. Owners of a Garmin(s grmn) Endomondo-ready GPS will have their data sync with the Android app for example. Windows Phone handsets aren’t left alone at the starting line; their Endomondo updates are even wider in scope. A new Live Tile shows both workout history using Endomondo and updates from any friends also using the app. This Newsfeed of friend activity also support comments directly in the app. Customized music playlists are also part of the update and now Endomondo users can selectively or automatically share workout information on Facebook. This social aspect is becoming a key element for exercise tracking apps. As a daily runner, I find that I often push myself more during a workout or race knowing that several hundred of my friends will see the results. This self-induced peer pressure can be a powerful motivator! And it also provides opportunities to see different types of workouts, which can be adopted for your own use. I haven’t yet given Endomondo a “trial run”, but I’ll do so in the near future. In the meantime, check my reviews of Strava and RunKeeper. Love Endomondo on my BlackBerry Torch. The Free and Pro versions are both available. 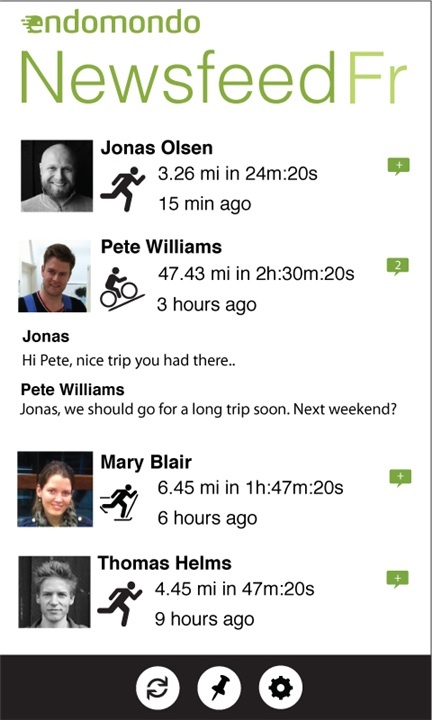 After my runs and cycle trips I can send info automatically to Facebook and BBM friends. I find it helps to motivate me and my friends.